If you own a company, then you probably have insurance to help protect you when something goes wrong. However, have you ever experienced shock and dismay when you submit a claim and have it denied because your insurance doesn’t cover it? You thought you were covered, but didn’t truly understand your insurance policy. 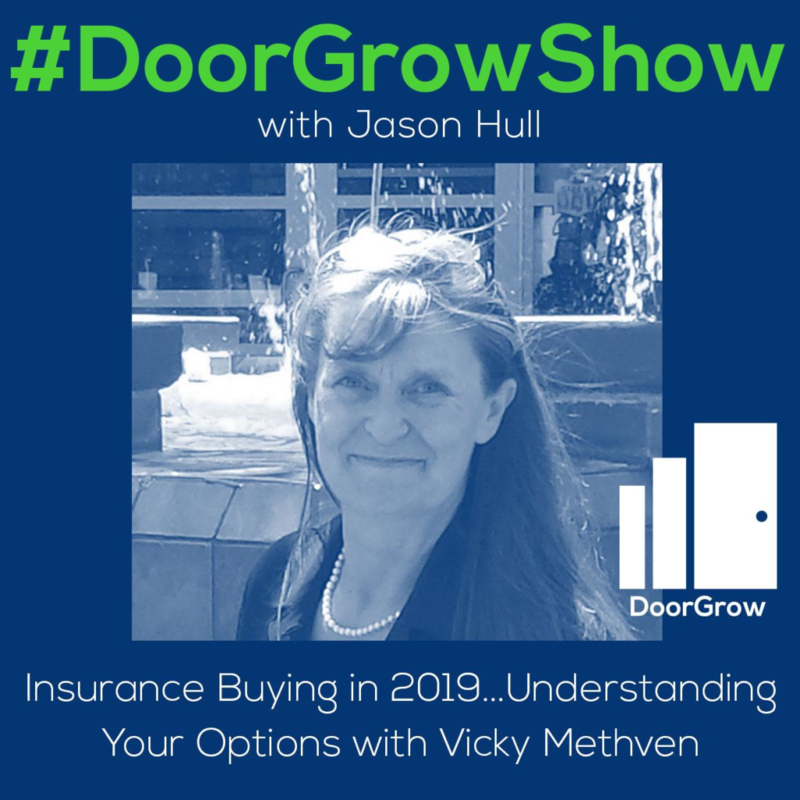 Today, I am talking with Vicky Methven about understanding your options when buying insurance. She helps clients understand risk on all levels: What they bought, why they are buying it, and what they actually need. [03:04] Insurance has changed because business has changed; traditional go-to commercial general liability policy is mostly for brick-and-mortar businesses. [03:57] Different types of insurance policies and how they are structured; beginning gives you a lot, middle takes most of it away, and end gives you back something. [04:25] People don’t read their insurance policy; decide to tell agent what they need. [04:50] Delivery of Insurance Policy: Agent’s obligation to explain it to you effectively because no policy covers everything. [06:03] What you need vs. what you think you need vs. what an agent tries to sell you. [07:26] Personal insurance policies are built on the law of large numbers; commercial insurance is based on many more variables. [08:45] Licensed realtors must carry errors and omissions (E&O) insurance to pay a claim when they make a mistake or neglect to tell client about their policy. [09:55] Vicky views cyber risk as biggest challenge for property owners; property owners don’t buy or believe it – they’re dealing with other problems. [16:57] Crooks gone phishing for plethora of data by hacking companies of all sizes. [22:23] Don’t let professional actions negatively impact personal life; make sure you’re doing everything legally necessary to keep protections in place. [23:42] Property managers need to put basics in place; may include general liability, lawsuit protection, E&O insurance, cyber policy, and a good lawyer. [27:50] Every entity should be separate; avoid one business assuming risk of other one. [30:39] Potential pitfalls in property management industry include master policies. Jason: Welcome, DoorGrowHackers to The DoorGrowShow. If you are a property management entrepreneur that wants to add doors and expand your rent roll, and you are interested in growing your business and life, and you are open to doing things a bit differently, then you are a DoorGrow Hacker. At DoorGrow, we are on a mission to grow property management businesses and their owners. We want to transform the industry, eliminate the BS, build awareness, expand the market, and help the best property managers win. If you enjoy this episode, do me a favor, open up iTunes, find The DoorGrowShow, subscribe, and then give us a real review. Thank you for helping us with that vision. I’m your host, property management growth hacker Jason Hull, the founder of OpenPotion, GatherKudos, ThunderLocal and of course DoorGrow. Now, let’s get into the show. Today’s guest everybody is Vicky Methven. Vicky, welcome to the show. Jason: Vicky, we’ve known each other for a little bit now. You do a few different things and today we’re going to be talking about insurance buying in 2019 and understanding these options. Before we get into that, why don’t you share with the listeners just a little bit about you and your background and how you kind of got into doing what you’re doing now. Jason: Thanks, Jason. It’s really a little crazy. It wasn’t my plan. Of course, half of the time we do what we do and as we age, it just changes and morph. I’ve owned companies my whole life. As a business owner, I learned what my insurance didn’t cover when I made a claim and found out it wasn’t covered. The whole rest of the time that I paid it for years and years, I believed that I had coverage and that really bothered me. As I grew in my relationship and in my role of risk management kind of under an entire umbrella, I realized that this was a real problem, not just for me and my previous businesses, but for everyone. A lot of it has to do with the way our insurance agents treat us. That’s one of the reasons why I do what I do. When I deal with my clients, I talk about risk on all levels. It’s a relationship and helping people to understand what they bought, why they’re buying it, and what they really need, and maybe don’t need so. That’s why I do what I do. I have a heart for helping small businesses and I have a heart for this industry. I just kind of figured out a way to make it marketable, because the girl’s gotta eat. Jason: Your company is The Methven Agency, correct? Jason: Let’s get into this topic of insurance and why this matters. Because it’s a topic that we see come up in the DoorGrow Club, people are asking about it, and there’s lots of different types of insurance. Where do you think we should start? Vicky: Well basically, the premise behind it, insurance has changed so much because business has changed so much. A commercial general liability policy, that’s what we’re all used to buying because that’s what everybody has bought for their companies forever, but that’s for brick and mortar things. There’s some coverage for things that we do today but insurance policies grow over time. We need to understand as consumers how they’re even structured. It’s crazy, but most people if they read their insurance policies at all will read the very beginning of it and they’ll go, “Oh, I’m covered for all of this stuff.” But what they don’t realize is the structure of an insurance policy is the beginning gives you a lot, the middle takes most of it away, and the end gives you back some. You really need to know what’s in that policy. I have a certain guess that most people that are listening to this have told their insurance agent, “I need general liability, and I need E&O, and I might need some commercial vehicle.” They make that decision and their insurance person just sells it to them. There’s a thing called delivering a policy which is part of your insurance agent’s duty to you. It doesn’t mean handing you the paperwork, it means explaining to you what’s in it, and what it covers, and what it doesn’t. That’s really a big piece of what people need to understand is what are your real risks, and what kind of policies should you really have, and then what are they going to cover anyway because no policy is going to cover everything. Jason: This is one of your areas of expertise is helping to deliver the policy effectively. Vicky: Right. I’m not going to be your insurance agent for anything you buy. That’s not my gig. I will have that conversation with your insurance agent, help you have that conversation with your insurance agent, help find you an insurance agent or agency that can help you the best, but I work for you, not for the insurance company, and not for the commission. Jason: You’re kind of saying maybe you’re a connector of sorts. Vicky: I’m a conduit. Yes, Jason. Jason: There you go. Okay, cool. If you’re connecting these people, connecting property managers to the right insurance companies, how do you go about making this decision, and figure out what they really need versus what they think they need, and versus what maybe somebody that provides insurance would be trying to sell them. How do you control all of that? How do you figure that out? Vicky: Well, it’s really just a conversation. Every company is going to be different. You need to look at what your company has in liability. Are you brick and mortar? Do you have a lot of things? What we used to do is businesses used to have product liability issues. They had brick and mortar, so they need slip and fall, and all of these other things. Now we’re moving into this service provider role and dealing with online scenarios, and everything’s data-driven, and all of those things. You need to look at, do you have employees, are they 1099, are they virtual, how are you handling data. The biggest risk especially the property manager face more so even than the general liability side is going to be that cyber risk. The key is insurance policies are built on the law of large numbers. That’s why it’s so easy to get a quote for your personal stuff. Because every insurance agency or broker, even if they’re independent, they have a tool. They plug your statistics in, what’s your zip code, how many kids do you have, what kind of car do you drive, all of those things, and it will pull back a quote for every carrier they can write you with. That’s how they decide where to put you. With commercial insurance, it’s not the same way because there’s so many variables. This is the reason why a lot of people don’t even want to take on insuring and being an agent for small businesses, because there’s not a lot of commission in it, it’s a lot of work, they have to quote every single different carrier that they think they might fit you into, the commissions are low. Actually, delivering your policy, and taking that time and spending it with you to teach you, there’s no money in it. Vicky: The crazy part too is, everybody in property management, and real estate we all have insurance. It’s what we do, because we might make an error, we might forget to tell somebody something, whatever it is. Jason: Explain what E&O insurance is for people that are just getting started. Vicky: Okay. E&O is Errors and Omissions. It’s something that you have to carry as a licensed realtor in most cases. I have to carry it. I’m required to carry it. It’s part of my licensing as a licensed insurance agent. I have to carry E&O. What it does is it pays a claim if I make an error or I neglect to tell you something that’s pertinent to your policy. If I am the agent of record and I sell you an insurance policy, and I don’t tell you what it really covers and doesn’t cover, and I didn’t take the time to fulfill my fiduciary responsibility of knowing what you needed coverage for, you have a legitimate claim against my insurance if I’m your agent of record. Jason: You said the biggest risk is cyber risk. Maybe you could explain that and then maybe we could get into what are all the different types of insurance and liabilities that a property manager needs to be paying attention to and have in place. Vicky: Cyber liability insurance is insuring when there’s data breach, and data breach can be anything. A data breach can be your smartphone got lost because it’s hooked to your network. It can be your laptop. It can be someone in your office stole the data. But here’s the biggest one, your property management software provider. Hello? Property managers have everybody’s non public information. Property management companies probably have more information than your doctor does. They definitely got more information than just the credit reporting bureaus. We all know Equifax had this giant data breach. What happens and what kind of coverages are there? It used to be just coverages to make the client whole, who you lost their data. Now, there’s third party coverages, there’s all sorts of different coverages that are involved in that, and you need to know what they are. The key to cyber liability insurance though is the law of large numbers is not on the side of the underwriters. The people that are deciding what the premiums are don’t have any data to decide how much the premium should be based on what the risk is. They don’t have that ratio because it’s a fairly new coverage. What happens is you could be paying a lot for a little, or a little for a lot, and you don’t know as a consumer. That’s where it’s super important to have someone who’s got your back, and who’s going to get a broad spectrum of quotes from multiple carriers, and then show you the differences, and let you decide where you want your coverage to be. Jason: Right. Connected to the cyber risk, I wanted to point out to listeners that I think a lot of times we assume we’re okay, but the challenge is that a lot of data breaches aren’t even really made public. They aren’t really shared and there isn’t much conversation about it. If it’s a big deal, yes, but a lot of us have logins and passwords into hundreds maybe of different websites and any one of those could have been hacked. They might not even have known. If you use the same login our password on multiple sites which a lot of people do, that is now out there, and it’s been spread on lists, and different list servers, and different things that other people have your login, and it’s been put out there. Basecamp recently had a challenge with their software that there were people who were trying to do hack attempts. Eventually, they blocked it, but they put it out there saying, “If you’re using the same password on multiple sites, you should check yourself on this website.” They give this website and it’s really kind of scary to look at. I’m going to give this to the listeners, it’s haveibeenpwned.com. You can plug in your email address there and it will show how many times that email address connected to logins had been publicly posted by hackers on forums and things. I recommend listeners, you check that out just to get a perspective that some of your info may be out there if you’re using the same login in multiple sites. That’s kind of scary. Data breaches inevitably happen in some form or fashion. Even if it’s just the internal team member that you fired. I had a team member that I fired that she started deleting stuff and getting into stuff because she had some logins into some things that were part of her job. It doesn’t matter if you’re using LastPass or any of that because those browsers can store logins, and they can store passwords, and things like that. A lot of times, we think we’re secure and safe when we’re not. Vicky: Here’s the thing about a data breach, Jason. If you have a data breach, you have to notify people. There’s rules around that. There’s laws around that. It is crazy what you need to do. The average cost is between $100 and $200 per identity in your system. Think about this if you’re a property manager. You have previous tenants, current tenants, declined tenants, and all of their family members information. You have owners, you have past owners, you have present owners, you have employee information, you have all of this information. Take all of those numbers, add them up, and multiply them times just $100. That will put most of us out of business right now. You need to make sure that you’ve got some coverage for that. In my opinion, that is the largest risk property managers face today. The largest. Vicky: Yeah. I get a $50 referral fee from the insurance people, from INSUREtrust which is the people I trust with my reputation. I get a $50 referral fee for placing a client with them. Not really a big deal, not considering the amount of time it takes. Full disclosure, yeah, I do, but that keeps my price to my clients down a little bit. I was at a conference in Atlanta a few months ago, and it was put on by the industry leaders in cyber liability insurance, and I happened to have been speaking to somebody who works for a company that said, “Oh my god, this just happened. Someone published a link and didn’t realize it was an internal link, and it got back, and a whole bunch of our customer data got out there including the company that we use to store the customer date, their name.” I’m like, “Whoa. I know you’re going through this thing, you might hear about it today.” Well, sure enough, one of the attorneys that was on the stage spoke about it. We’re talking about probably 100,000 people that could have been affected. In the property management industry, you don’t think about this, but just something as simple as phishing. Phishing attacks are happening more and more with smaller companies. If you don’t think the crooks don’t know that you guys have a plethora of data, you’re like the pot of gold at the end of the rainbow when it comes to small businesses because of the kind of data that you have. These crooks are smart. What they’re doing now is they’re sending emails and asking people to transfer funds, you hear on the internet where people are being ripped off because the down payment that was supposed to go to escrow went to somewhere else. It’s all of these phishing things. You need to make sure that you have coverage for that and then reputation. What happens to your reputation if you have a data breach? You’re kind of hosed. You need to make sure that wherever you feel like your risk level is comfortable, because we’re never going to insure all risk, you want to work with someone to find out what your risk comfort is. Where you can self-insure some risk to maybe keep the premiums down over here because the more you transfer the risk, the higher the premiums go. You want to make sure you have good policies in place, maybe phish your own company. Every company does this. One of my tenants who rented one of my rental properties used to work for Microsoft. His job was to daily hack IBM, that was his job. All he did was hack IBM all day long. He’s trying to find all of the places where he can get in IBM, that was his job. When you have a conversation with him, he is kind of freaky. He would take batteries out of cell phones, and lock them in the car, and make you stand in the middle of the yard because everybody was watching. You just want to make sure that you know what your risks are and how you can mitigate them. General liability policies, most of them don’t cover things like when you use someone else’s photograph, or logo, or intellectual property on your website without their permission. You want to make sure you have coverage for that because we live in a digital world. We can easily violate a trademark or service mark and not even know we did it. Make sure that those kinds of things, employee theft is huge, that’s a huge liability. Like you said, your employee just deleted your stuff, they could have sold it. You were lucky they only deleted it. Jason: We’re able to undelete things which is great. It felt like somebody had walked in my house and stolen stuff. Vicky: They went through your underwear drawer. Vicky: I get that. There’s all sorts of different coverages that you want to look at, but you want to know that you have the right ones. Just the general liability policy most people have that and they’ll tell me, “That’s covered. It’s covered under theft.” It’s not covered under theft, but we’re all running around for the most part in the emperor’s new clothes. We think we have coverage for what’s going on and really, we’re just naked out there. Jason: Is this something that you do with clients, is you’ll take a look at what they currently do have, review it, and see where there really are gaps? Vicky: I will and then I’ll show you where those gaps are. But the other thing too that we want to look at is because there’s not a lot of money in commissions, in writing policies for small businesses, there’s just not. I mean, how much are you going to make on a policy that costs $1200 a year? Those aren’t the policies that everybody’s chasing if you’re in the industry—just saying. What you want to make sure that you do is understand what you can get from carriers direct. Folks hear me talk about Hiscox a lot. Hiscox is great. They’re an awesome company and what they’ve done as a licensed agent, I can sell Hiscox insurance, and I can sell you the same policy you can buy from them direct. It’s going to cost you more if you buy it from me though because they have to build commissions in. They’re templated for industry risk. Do they do everything? No. Are they going to protect you for every issue? No. But you need to know what those issues are that you’re not protected for so that you can take risk mitigation steps in your company to have less risk, because you’re self-insuring some risks. You just are. You just want to make sure that the stuff that can put you out of business tomorrow is transferred to someone else. Makes sense? Jason: Yeah. Asset protection is also a big deal. I think those listening also, it would make sense at some point also to talk with an asset protection attorney to make sure that they have a structure in place that protects them as well. Insurance can do so much, but I think it’s important to have some asset protection and have your business structure protected, so that they can’t literally take your shirt if there’s a problem. Vicky: Well, one of the things I like to tell folks is A, talk to your attorney on a regular basis. One of the big questions you need to ask and this is something that most people who own small companies don’t think about, I know about it because one of my clients almost lost her home. When you sign a document on behalf of your company, if you’re the president of the company, you better be signing it with your name as president of, and the name of the company because there’s times when you could be laying your own personal stuff out there on the line because you personally signed it. You want to be very careful about certain things that you’re doing because in today’s day and age, it’s just super important. If you have an LLC, or if you have an S-Corp, make sure that you’re doing everything you need to do to legally keep those protections in place. Because most people don’t understand they’re neglecting, and they’re puncturing that corporate veil of security and they don’t even have it anymore. There’s a lot of different risks that are out there and it’s not just things that are insurable. That’s what we talk about on a regular basis with clients, is what are all of your risks whether they’re insurable risks or not. Jason: What are the basics that a property manager should be putting in place? Let’s say they’re a small startup, they’re just getting going. I’m guessing some of the more seasoned companies have some healthy things in place. What are basics that they should have get in place so that they’re off to a good start? Vicky: I have people all the time say, “Well, I need my general liability in case someone slips and falls at one of the properties that I manage.” Well, maybe you do and maybe you don’t because the owner’s insurance is supposed to cover that. You’re an agent for the owner. It’s like, “But what if I get sued?” Well, when you get sued as an agent for the owner, normally that lawsuit isn’t actually valid against you, but you still have to defend against it. Have some lawsuit protection. Have a good attorney. Make sure that you have some way to answer those. E&O insurance, if you’re selling, if you are in sales and property management, make sure that you have that. It’s something that’s very well used in the real estate industry. Not as much in property management, because you’re more of a service, and you’re operating as an agent. That also depends on what kind of a management agreement you have with your client. Are you listed on the lease agreement as agent for the owner or is the owner not listed on your lease agreement? Many management agreement let the owner sit in a bunker, so there’s a management agreement between the owner and the management company. The there’s a lease agreement between the management company and the tenant. That’s one way to do it. Now, you’ve got a lot more liability if you have that model, but your owners like it because they get to hide in the bunker and the tenant doesn’t even see who they are. Or do you have the lease agreement between the tenant and the owner and you’re just the agent for the owner. You’re kind of this bottom of the triangle. It depends on what your business model is. You have to figure out what your risks are that way and how you want to do that. E&O, general liability probably depends on if you’re a brick and mortar or not. It depends on what’s covered under your cyber policy, because there’s pieces of general liability that fall into your cyber policy as well. I highly discourage you from adding a cyber writer to your general liability policy. Not the best way to go. I haven’t seen one of them that was very comprehensive. Just haven’t seen them, so cyber liability, E&O, general liability. If you have company owned vehicles, you want to make sure you have a good commercial policy. If you’re running maintenance out of your property management company, if you have a maintenance company as well, keep them separate. Make them separate corporate identities. Make them separate entities and then work with it just like you would bill any outside vendor. I highly encourage you to disclose to your owners that you own the maintenance company though. Transparency is a big deal. Jason: A lot of property management companies also have a real estate company and sometimes they’re both underneath the same business entity. Does that present any unique challenges? Vicky: Your insurance is going to be priced differently. Many times, your insurance for your real estate especially, if you’re just starting out. I was working with a client not too long ago and it was like, “Okay, are you selling real estate under the same company brand because your insurance is going to be based on the dollar value of sales.” A lot of times, what you’re going to put in as a small company is what’s your annual revenue. Well, if you’re doing sales too, your annual revenues can be a lot higher. If you’re doing property management, your annual revenue isn’t your gross billing. It’s not everything you take in under rent, it’s only what you make. You don’t include the pass through to the owner in that calculation. If the calculation is much smaller, it makes your premium much lower especially if you’re buying direct. If you’re insuring your real estate company and your property management company separately, you’re not going to be paying higher rates for this entity. Does that make sense? I don’t think that every property you own needs to be in a separate LLC, but I think that every business entity should be separated. Jason: Each business entity should be separate or segregated. Vicky: Yeah. Absolutely. Because you don’t want this business to assume the risk of that one especially if you’re just growing this side. Jason: … yeah. These firewalls to protect the rest of it from getting impacted, or burnt, or whatever. I think businesses need to be set up that way too to protect us from the fires in business. Sometimes people think, “It’s so much easier. I’ll just put everything together.” Even though generally, that’s probably not a real healthy or great idea. I think generally brands being separate is just more effective anyway, because they can stand on their own two legs and each be successful in their own category. Vicky, you’ve mentioned a few different pitfalls. Are there any other major potential pitfalls that you see happening in the property management industry? Things that people should be aware of and we can just get into how people can get in touch with you if they have questions. Vicky: Perfect. I think one of the big things you want to really pay attention to is with these master policies. Everybody’s looking at putting together master policies so that you can charge fees for your tenants to get their renter’s insurance and for your owners who bring on their property insurance, that’s fine, but make sure that you’re very careful about what your state laws are. Because insurance commissioners in most states have laws about who is allowed to charge fees, or get a commission, or get a referral fee even. It’s really crazy. That was one of the main reasons I got my licenses in the first place was because I was referring to so many people insurance and I couldn’t paid. Jason: Right. If you’re going to do it, you might as well get paid. Vicky: Right? Getting my real estate license, that’s the next one. I’m going to get that one because I had a client say, “Hey, you have a real estate license right?” I’m like, “No, I don’t. Why?” “Wow, you just lost $10,000 because that guy you sent me sold three and bought two.” We need to make sure the we’re doing that. Just check, check, and double check. Talk to somebody about what’s going on. I love the master writing that goes on in the DoorGrow Club. It’s fabulous. I see people passing great information back and forth whether it’s state specific or not, people are really good about saying that. Nobody discusses fees. I just love dealing with the professionals there. It’s great because property managers that are really into education, you guys get it. I know you don’t have time to get it all. But make sure that you’re paying attention to where your biggest risks are and deal with those on a prioritized basis. That’s really what I can tell you. Cyber insurance, for goodness sakes, make sure you’ve got it, and make sure you know what it is. I was looking at a comparison for one of my clients, we brought out four new policies, four new carriers, and then the company that I deal with is INSUREtrust, and we laid their policy side by side and found out that they were paying twice as much for half the coverage. Make sure that you get educated on that. I can’t stress that enough. The amount of money that you save will make up for a lot of other things that you’re doing. Jason: Great. Vicky, how do people get in touch with you if they have questions or they want to have you take a look at some of what they’ve got going on? Vicky: Well, you can find me in the DoorGrow Club. Just tag my name in there. Otherwise, I stay kind of silent. I don’t like to be predatory. If you tag me, I’ll answer, but otherwise, I kind of try to stay just knowing what people are looking for. You can find me at https://methven.agency. My calendar is available there. You can just click calendar and set up a time to meet with me. I’m happy to do that. Facebook messenger, I get those alerts. I check my email a couple of times a day, vicky@methvenagency.com. I’m pretty easy to get a hold of. Ask a friend. A lot of people seem to know me. I get those messages. Jason: Well, cool. Vicky, I appreciate you coming on the show and opening up the listener’s eyes and ears a little bit to the idea of insurance and some of the potential pitfalls. I appreciate you coming out. Vicky: No worries. Thanks so much for having me, Jason. Jason: Again, you can check out Vicky at her site methven.agency. For those of you listening, I wanted to point out our DoorGrow score quiz. If you have a website, a property management website, maybe it’s something you got from your property management software, maybe it’s something that you’ve had for a couple of years now, it might be time to take a look at that website because it’s probably leaking money. I created a visual quiz based on some of the proven, tested principles that affect conversion so you can test how effective your website is at making money. You can get to that by going to doorgrow.com/quiz. Go test your website, do the DoorGrow score quiz, and get your website score. You may be surprised to see that you’re really pretty or even brand new website might be getting a low grade, a low letter grade. You’ll get a letter grade out of it just like a grade on a paper in school. The goal is to have an A. If you’re getting a C, or a D, or even worse, an F, and you’re getting any business at all through your website currently, then you are probably missing out on tens or hundreds of thousands of dollars in potential future ROI every month just from missing out on a deal, or two, or three, or four, or five. You could be missing out on just as many deals as are actually coming through the website or calling in to your business that you’re acquiring. That is a massive leak and a massive blind spot. Anything that we might be able to do for you on the website side is far cheaper than the amount of money that you’re losing out on every month. Typically, a single door is worth maybe about $6000 lifetime value if you are able to keep them on for maybe about three years. You make roughly about $2000 a year per door. In some markets, that might be higher. Your retention might be better than that, but that’s a pretty good ballpark. If you’re missing out on three deals, you could be missing out on $18,000 a month in future ROI. This is one reason property management businesses struggle to grow is the leaks that exist that they can’t see. This is a leak I’d like you to be able to see. Check it out at doorgrow.com/quiz. Vicky mentioned our Facebook group. Make sure you get inside our Facebook group. You can get to that by going to doorgrowclub.com and apply to be in our group. It is free. We allow business owners or people starting property management companies to join the group, and it is a phenomenal community, and people are very helpful in there. I appreciate everybody that contributes in that group. That’s it for today. Bye everybody. Have an awesome rest of your day and week. You just listened to The DoorGrowShow. We are building a community of the savviest property management entrepreneurs on the planet in the DoorGrow Club. Join your fellow DoorGrow Hackers at doorgrowclub.com. Listen, everyone is doing the same stuff. SEO, PPC, pay per lead, content, social direct mail, and they still struggle to grow. At DoorGrow, we solve the biggest challenge getting deals and growing your business. Find out more at doorgrow.com. Find any show notes or links from today’s episode on our blog at doorgrow.com. To get notified of future events and news, subscribe to our newsletter at doorgrow.com/subscribe. Until next time. Take what you’ve learned and start DoorGrow hacking your business and your life.